(map) Hey Cupcake! launches their newest cupcake for the fall season. The Pumpkinator is a moist pumpkin-spice cake topped with cream-cheese frosting. It’s a frightfully yummy way to welcome the approach of Halloween! 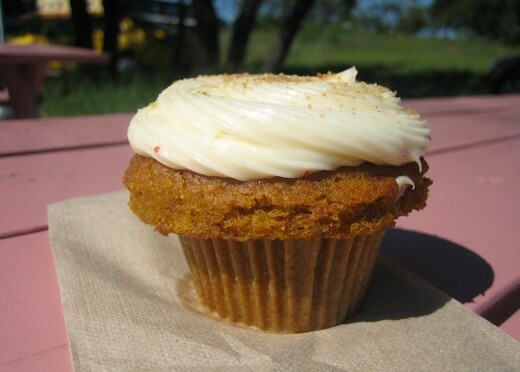 3 Responses to Pumpkinator at Hey Cupcake! Yes! I’ll have a dozen of them. Do they deliver? Looks awesome, will pick some up today. Thanks!